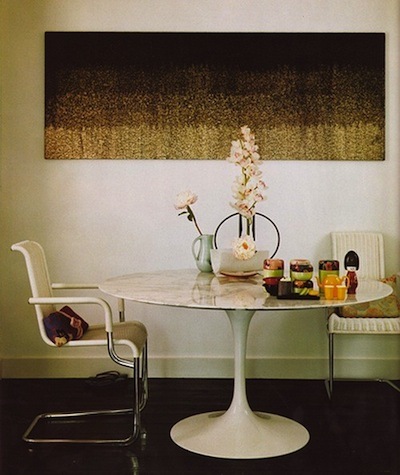 Perfectly at home in a myriad of design styles, Eero Saarinen's Pedestal Table is most definitely a furnishing icon. 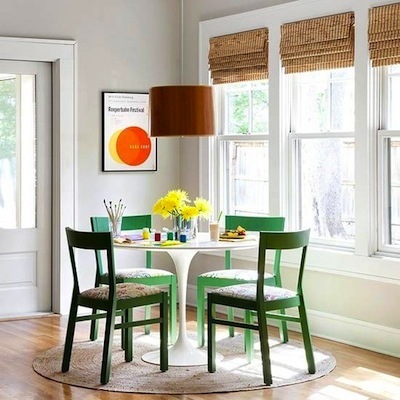 Often referred to as simply the "Saarinen Table" it was designed to free the consumer's home from an overabundance of legs. 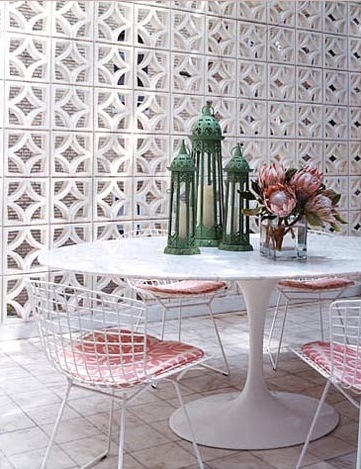 Trained in architecture and the fine arts, all of Saarinen's designs are inherently sculptural in nature. The cast iron base of the pedestal table was inspired by the shape created by the movement of viscous liquid. 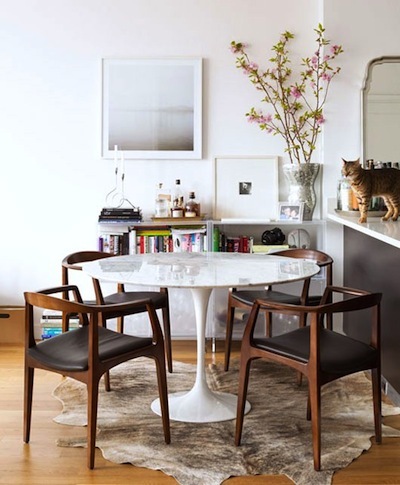 Yes, some may argue that given its presence left, right and center these days that the Saarinen table is somewhat tired. But I think its quite the opposite. 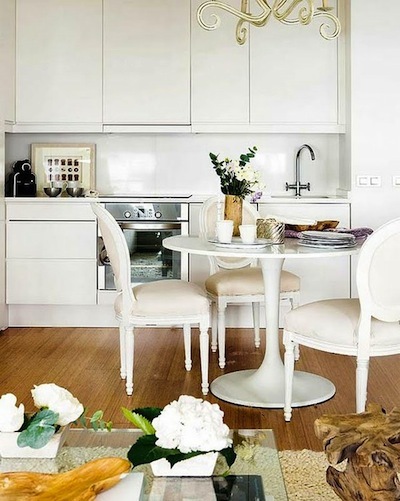 This only seems to reinforce the pedestal table's place as an icon. 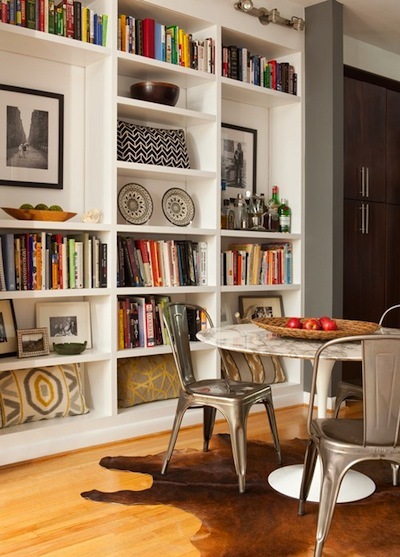 I love that this table can easily transition between interior styles. 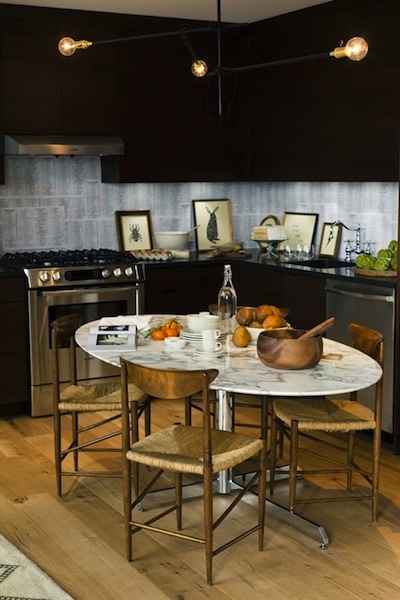 Paired with the Saarinen Tulip Chairs it retains its ultra sleek, ultra modern appeal. 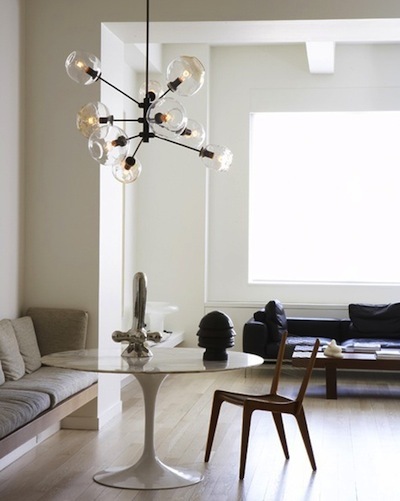 Paired with a chairs of a danish modern chairs it transitions to cool, contemporary. 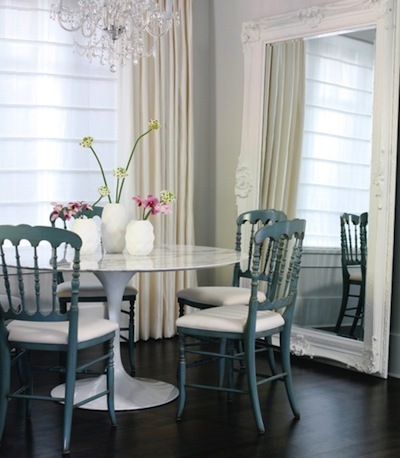 An upholstered or bentwood chair creates a more traditional looks.